At this point, you probably aware that Page Speed is now part of the signals used by Google’s search algorithm to rank pages. Fast page speed not only makes the search engine happy, but it also provides better user experience to your visitors. According to the study done, every second delay in page loading time, could potentially damage your conversion rates. Many visitors will abandon a website if it’s taking too long to load. Fortunately, if you’re using WordPress as your website platform, there are a large number of plugins available designed to improve the page speed of your website. Below, we’ve selected a list of useful plugins that can optimize your WordPress site and make it run faster. In addition to these plugins, there are still many other ways you can do to make your WordPress site run faster. You may refer to our earlier post on how to improve page speed for more in-depth coverage. Smush is a useful plugin that can automatically compress your images without losing much of the quality. It can also detect unnecessarily oversize images on your pages and auto resizes them to the appropriate size. As a result, your pages will load faster and you’ll save tons of space in the long run. WP Super Cache works by generating static html files from your WordPress site and serves the html version to your visitors. Html version is more lightweight when compared to the usual dynamic WordPress. A dynamic WordPress site contain more codes thus require higher processing power. Database efficiency is also another essential aspect, but it is often overlooked by many people. WordPress uses MYSQL to store your site’s data. Over time, your database will grow larger due to accumulation of unused records, redundant entries and tables. A large database can seriously impact your page loading speed and it is essential to clean up WordPress database from time to time so that your page can run smoothly. The WP-Optimize is an effective plugin you can use to clean your WordPress database. It helps to optimize your WordPress database by removing all unnecessary data so that it runs at maximum efficiency. 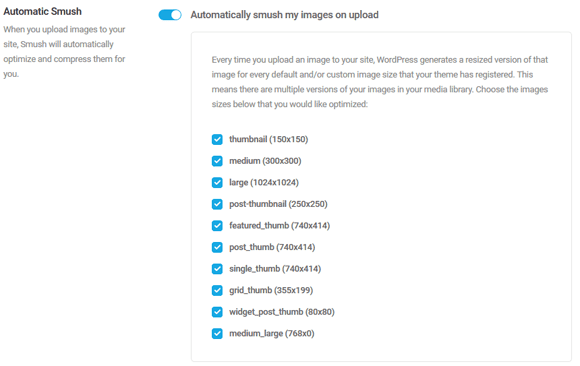 While there are still many other options of WordPress optimization plugins available, the above plugins are my personal favorites. Your site performance should improve dramatically after implementing the suggested plugins on your WordPress site. If you come across or in case we’ve missed out any useful plugins, kindly inform us in the comment section below.